Now With More of What's Important - including M&T Alerts! Banking should be simple and secure; that’s the idea behind the newly updated M&T Mobile Banking App1 – now offering M&T Alerts1 to help you stay on top of important account activity. Not only can you manage your alerts in the mobile app, but you can now receive them from three convenient delivery methods; email, text message, and app notification for iPhone and Android devices. 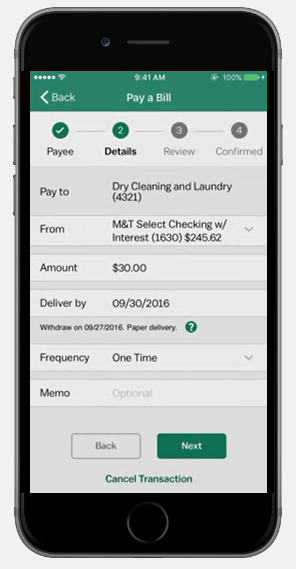 Deposit checks conveniently from your smartphone at no extra M&T charge.1,2 Make same business-day check deposits until 8PM.2 View deposited and cleared checks right within the app. 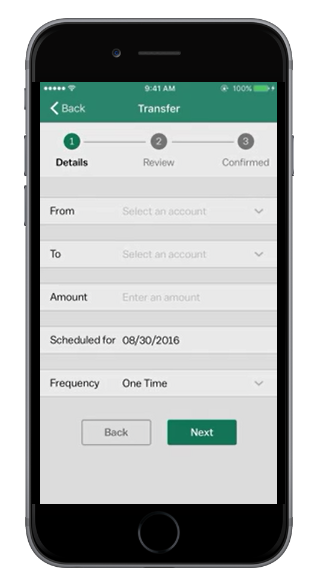 Deposit checks conveniently from your smartphone.1,2 Make same business-day check deposits until 10PM.2 View deposited and cleared checks right within the app. M&T Flash Funds3 provides you the option, for a fee, to make your mobile deposit immediately available for withdrawals or purchases. If your check qualifies, you will be prompted to select between standard availability at no additional charge, or M&T Flash Funds if you need the money sooner3. Get timely balance, transaction and security updates sent right to your email or mobile device. Get timely balance, transaction and security updates4 sent right to your email or mobile device. Quickly make payments to almost anyone3 – all with the security of our Bill Pay Guarantee.4 Don’t have Bill Pay? You can now easily enroll by selecting Pay A Bill in the app. Quickly add a payee and make payments to almost anyone5 – all with the peace of mind of our Bill Pay Guarantee6. Don't have Bill Pay? You can now easily enroll by selecting Pay A Bill in the app. Log in to your accounts on Touch ID compatible Apple® devices using just your fingerprint. Log in to your accounts using just your fingerprint or facial recognition on compatible Apple® and AndroidTM devices7. Access your M&T personal and business accounts. Important information – like available balances and credit limits – is front and center to make life a little bit easier. 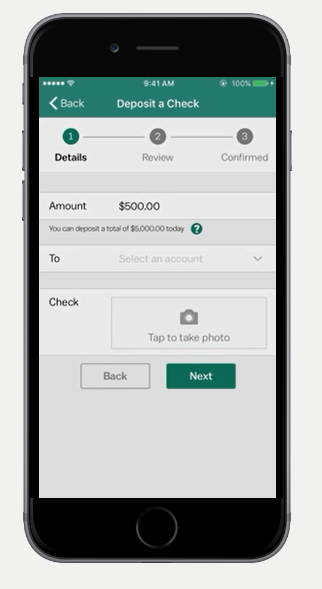 The M&T Mobile Banking App will consolidate all of the features of the business, mobile check deposit and personal apps into one convenient app. Once available, you will be able to delete any prior M&T for Business and M&T Mobile Deposit for Business apps and use your existing Online Banking credentials with our app. 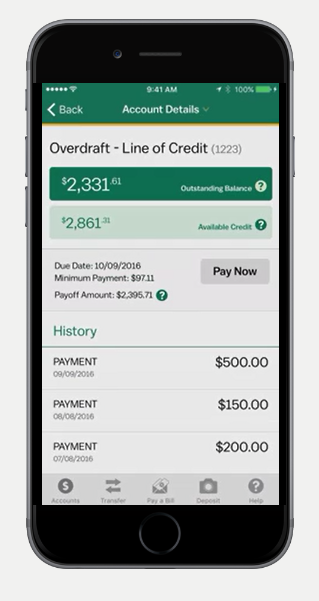 View your personal and business account information, make transactions and deposit checks, all through a single app1. 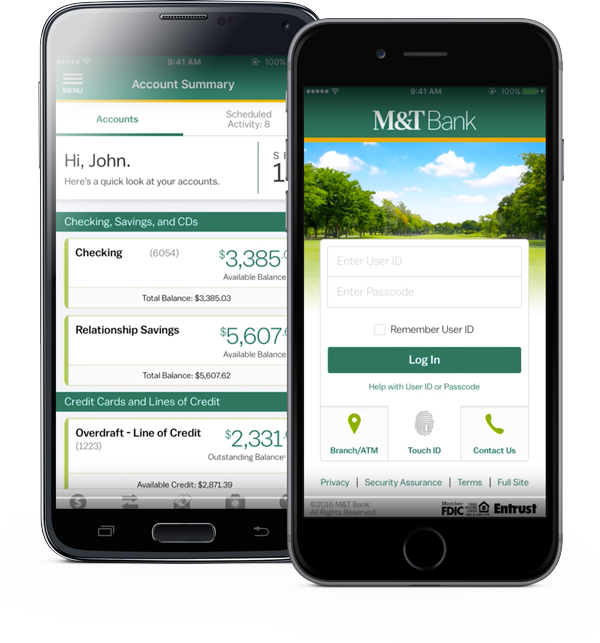 The newly updated M&T Mobile Banking App will consolidate all of the features of the business, mobile check deposit and personal apps into one convenient app. Please delete any prior M&T for Business and M&T Mobile Deposit for Business apps and use your existing Online Banking credentials with our newly updated app. Download the M&T mobile app to your phone. 2 Deposits are subject to verification. Funds not available for immediate withdrawal. Deposit limits and other terms, conditions, fees and restrictions may apply. Business day is defined as Monday through Friday, except for Federal holidays. 3 If selected, your mobile deposit will be immediately available. The fee for this service is 2% of the total check amount ($2 minimum charge). The fee will be deducted from your account following the completion of your deposit. If the deposit is made during our nightly processing, it will not be available to pay debit items that are processed for payment during that night’s processing. However, it would be immediately available for withdrawal. 4 Suspicious activity alerts notify customers of certain potentially fraudulent activity on their M&T Debit Card. M&T Bank is not liable for any losses customers may incur due to an alert not being delivered. Alerts are designed to be a helpful account management tool, but they do not identify all potential fraudulent activity and are not a substitute for security and fraud precautions including, but not limited to, verifying statements and being aware of your outstanding payments and available balance. For your protection, "suspicious activity" and "debit card PIN change" email alerts cannot be disabled. 5 M&T Online and Mobile Bill Pay cannot be used to make payments: (i) to payees located outside the United States; (ii) to taxing authorities or other government entities; (iii) required under court order (e.g., child support); or (iv) in connection with any unlawful activity or purpose. Payees can only be added or edited, and recurring payments can only be scheduled through M&T Online Banking. , and you must have sufficient available funds in your account. In the event your payee does not receive payment on time and charges you a late fee, contact Online Banking Support at 1-800-790-9130. We reserve the right to discontinue the Bill Pay Guarantee at our discretion at any time. 7 Fingerprint login is only compatible for Android devices if the device has OS version 6.0 or greater. Android is a trademark of Google LLC. iPhone is a trademark of Apple Inc. Use of this trademark is subject to the owner’s permission. 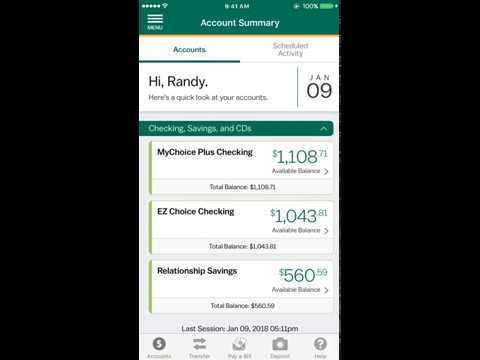 M&T Bank is not endorsed, sponsored, affiliated with or otherwise authorized by Apple Inc.